Tendonitis is the inflammation, irritation, and swelling of a tendon. It can occur as a result of injury, overuse, or with aging as the tendon loses elasticity. 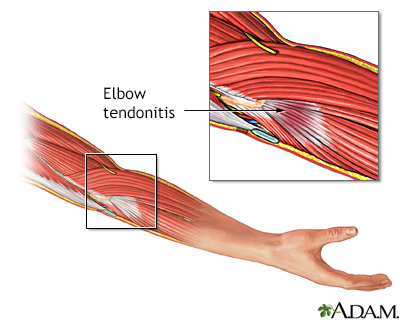 Any action that places prolonged repetitive strain on the forearm muscles can cause tendonitis. The most common symptom of tendonitis is pain, tenderness, and the increase of pain with movement.